Join and Fund the Unity Party of America ( www.unityparty.us), a national party with members in 38 states (Alaska, Arizona, Arkansas, California, Colorado, Connecticut, Florida, Georgia, Illinois, Indiana, Iowa, Kansas, Kentucky, Louisiana, Maine, Maryland, Michigan, Minnesota, Mississippi, Missouri, Nebraska, Nevada, New Jersey, New Mexico, New York, North Carolina, Ohio, Oklahoma, Oregon, Pennsylvania, South Carolina, Tennessee, Texas, Utah, Virginia, Washington, West Virginia and Wisconsin) dedicated to common sense like a Balanced Budget Amendment, Federal Term Limits and the outlawing of Gerrymandering. 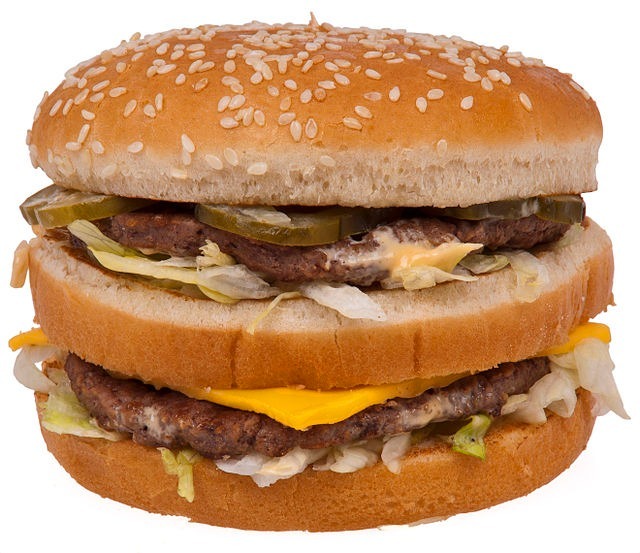 Average price of a Big Mac in the United States as of August, 2017: $5.30. Round up to a $10.00 donation for a New America! Note your donations are to the United National Committee, the Unity Party's governing body. 1. Contributions or gifts to the United National Committee are not deductible as charitable contributions for federal income tax purposes. 2. Funds are subject to federal contribution limits. 3. Contributions from corporations and foreign nationals are prohibited. The Unity Party of America bumper sticker is now available for a $5 donation (s&h included) through this page. Also note Hammons for US Senate ( www.billisrunning.com) stickers are available for a $5 donation here as well - email mail@unityparty.us once you've made your donation(s) to make arrangements! 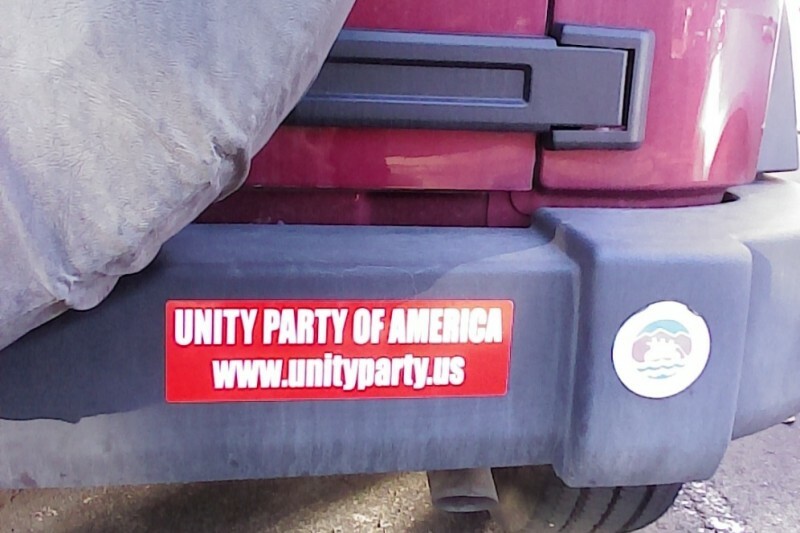 The 2015 Unity Party of America bumper sticker is now available for a $5 donation (s&h included) with a donation through this page. Also note Hammons for US Senate ( www.billisrunning.com) stickers are available for a $5 donation here as well - email mail@unityparty.us once you've made your donation(s) to make shipping arrangements! The Unity Party of Colorado, now an official voter affiliation option in the State thanks to the US Senate candidacy of Bill Hammons, enjoyed a 4,600% increase in voter registrations in the month of September! As a direct result of Bill Hammons' successful petition onto the November ballot, "Unity" is now a voter affiliation option in Colorado: https://www.sos.state.co.us/voter-classic/secuRegVoterIntro.do. Be sure to tune into his first televised debate on Denver Channel 12 Friday the 12th @ 7PM and Sunday October 26th @ 7PM to see why you want to become a Unity Party of America voter! Way to go Bill, Your platform is wonderful. This party could be the salvation of our country. Good luck! I hope that Unity party will have a presidential candidate in 2020! Tired of the bickering form the left and right. Lets move forward. I hope more people donate! We're pretty good!